← How To Choose Data Center Services? When looking for cooling solutions, only choice data center operators are left with is hot or cold aisle layout. To solve the problem and to make cooling in data center more flexible a new cooling technology just hit the world of data centers, submerged servers. This new kind of cooling technology promises to cool high density server installations with an operating cost of one third of the traditional cooling of data centers. 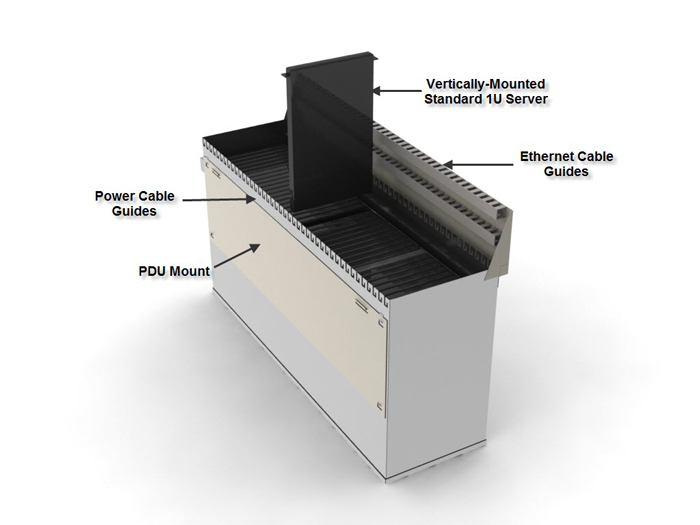 The process of submerged servers look like rack tilted on its on back and servers are introduced into slots in the enclosure, which is then filled with a coolant somewhat similar to mineral oil. According to the experts the technology of submerged servers will allow data center operators to save a large amount of money, since the cooling of data centers will be done without CRAC units or chillers and raised floor cooling. Cooling system of data center consumes most of the electric power and hence covers most of the operating cost of a data center. Raised floor plans, hot and cold aisles, CRAC units and chillers are the basics of cooling in data center all around the world. All these units or designs are good in keeping equipments of data center cool, but they worth too much. They consumes huge amount of power and therefore increasing operating cost of data centers. Submerged cooling will be a great success in the field of cooling in data centers. Biggest hopes are developing Asian countries like India. Data centers India offers and uses the same technique to cut the operating costs. The idea of submersion cooling is not new and mineral oil is being used as a coolant in immersion cooling for a long time. Mineral oil is a good coolant as it transfer heat just like water without conducting any electric charge. The coolant to be used in the technology of submerged servers is specially modified for the use of cooling in data centers. This special coolant is named as GreenDEF and it can handle heat loads more than 100 kilowatts per 42U rack. CRAC units and Chillers will no longer be used thus reducing power usage.2. Data center operating costs can be reduced up to 35%. No need of air management engineering. Overall maintenance cost is reduced. Can handle load more than 100 kilowatts. Nearly all the servers care compatible with this new technology. Container version can be installed anywhere thus making it more flexible than other cooling options. This entry was posted in Data Center Services, Data Centers India and tagged Data Center Services, Data Centers India, Submerged Servers. Bookmark the permalink.